Potentially struggling from keeping your travel bags light-weight to dealing in with extremely cold temperatures by keeping yourself warm and cosy with piles of jackets and woollens, packing for a trip to the mountains is a craft that we all need to master. It is important to learn and know what's extra and unnecessary and what is not. Overpacking is definitely not an option when you are taking a trip to the mountains, as the mountains teach you, of how to get rid of the excess baggage, both literally and figuratively. No matter your packing preferences, you are going to need your basic travel essentials to start with, before you pack anything else. Now, there is no definitive guide to pack but there are a few basic things you need to have for your next trip to the mountains. Below is a compilation of your travel bag checklist if you are about to brave the chilly winter weather in the mountains. Altitude sicknessis a common and recurring ailment in most people. It is impossible to really and accurately predict as of how and when the altitude sickness or in most cases, motion sickness, might strike. These illnesses can be cured by local remedies, which constitute of intake of cocoa tea or smelling the orange peel. But to avoid these sudden and unpredictable bouts of altitude and motion sickness, it is advisable to always pack a doctor's recommended kit of prescribed medications. Other than that it is also helpful to include the usual suspects like antiseptic cream, painkillers, blister plasters, aspirin etc. When travelingto the remote mountains in India such as the Himalayas in Himachal Pradesh, pack your thermals to keep you warm and cozy under the layers. Stockings, beanies, gloves and great quality woollen socks are the ultimate life-savers in the chilly climate. Keeping your hand and feet dry and insulated is the ultimate hack to beat the chilly nail-biting cold temperatures. It is also advisable to carry warm scarves or a blanket. Splurge on some great quality boots or sneakers for striding the rocky gravel roads of the mountains. Avoid jam-packing your travel kit with loads of footwear and instead opt for the winter friendly comfy boots and sneakers that keep your feet warm and make those trekking or hiking adventures to the mountains around Shimla or Darjeeling, comfortable, without killing your feet. 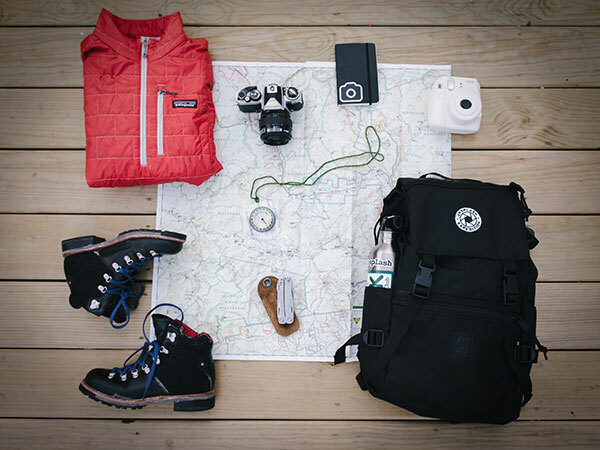 When travelling to the mountains, it is very important to pick all the necessary rain gears to avoid getting your belongings and yourself drenched in rain and snow. A rain jacket, an umbrella and waterproof covers for your travel bags, always come handy. It is advisable to pack the rain gears in the front pockets of your travel bags, as the weather in the mountains is notoriously unpredictable and tricky. One minute it is sunny and the next thing you know it's snowing or raining cats and dogs. So as soon as it starts raining or snowing, you should be able to pull out your rain gear and avoid getting drenched. Toiletries are a must irrespective of where you are heading to. It is advisable to pack travel-sized mini toiletries that you can dispose before your journey back home. Now you wouldn't be needing bath toiletries if you are staying somewhere that has it already. But it is good to carry your own set of towels, toothbrush and combs. Other than that, sunscreens, moisturizers and deodorants of long-lasting strength and lip balm and hand sanitizers are a must for your travel bag.